We weren't exactly devastated when the live-action adaptation of Akira fizzled out, but the project certainly left behind some stunning concept art. 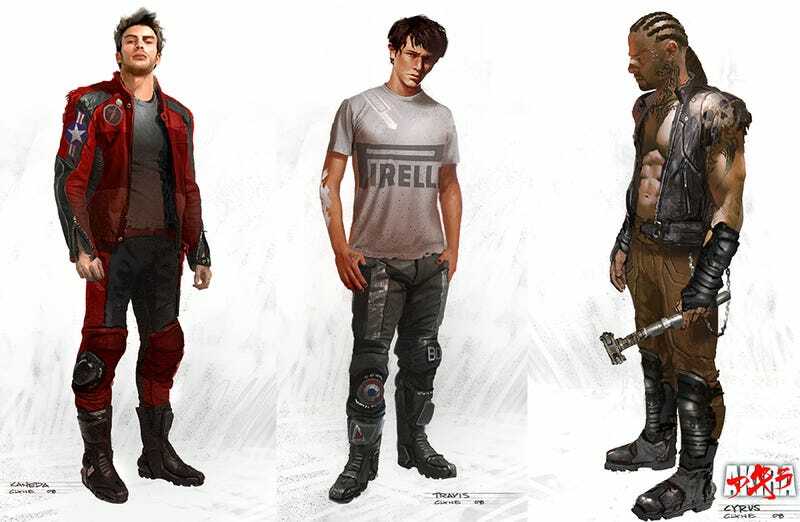 And it looks like at one point, the filmmakers imagined Chris Evans and Joseph Gordon-Levitt in the starring roles. Director Ruairí Robinson has posted several concept images, which apparently come from his tenure as Akira's director, including the American equivalents of Kaneda and Tetsuo (now "Travis")—as well as the not-so-warm neon glow of Neo-New York at night.